The Center for Kapampangan Studies of Holy Angel University will present Ing Managpe on May 27, 2006 at the HAU Main Building quadrangle. The Kapampangan zarzuela written by Mariano Proceso Pabalan Byron of Bacolor, Pampanga was the first zarzuela ever written in any Philippine language. It is older than Severino Reyes’ Walang Sugat and Crisostomo Soto’s Alang Dios, the best known Tagalog and Kapampangan zarzuelas, respectively. The National Commission for Culture and the Arts (NCCA) and the Filipino Heritage Festival, Inc. headed by Ana Maria “Bambi” Harper, are co-sponsoring with the Center the production of Ing Managpe. The play was first staged at the Sabina Theatre in Bacolor on September 13, 1900. Its original music, composed by Amado Gutierrez David and the first published by Cornelio Pabalan Byron on May 19, 1909, has been reconstructed for this revival production by Stan Palma, a scion of the popular Palma clan of Bacolor. 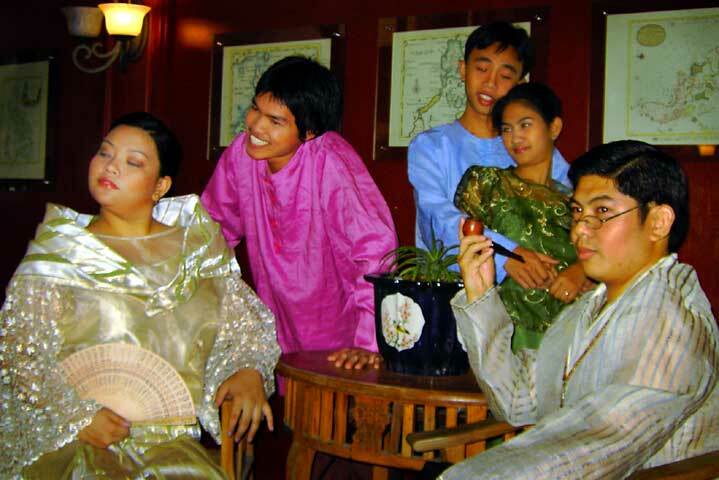 Ing Managpe revolutionized Philippine theatre at the turn of the century by introducing the theme of Filipino family and using drab domestic setting, instead of the usual European pomp and pageantry of colonial zarzuelas. The play’s plot revolves around the domestic quarrel between Doña Juana and Don Diego; a subplot involves their maid and househelps. The title, which means “The Patcher,” refers literally to the name of a dog and figuratively to the character who patches the feud. The cast and crew of the zarzuela is composed of HAU students: Remijia Lacson (Doña Juana), Edgar John Ocampo (Don Diego), Rona Reyes (Sianang), Roillingel Calilung (Fermin), and Daniel Madlangbayan (Pablo). The play is directed by Michael M. Manabat and Peter Joseph “PJ” B. Nepomuceno, the the newly designated University Special Projects Officer. Their adviser is Ms. Erlinda Cruz, also an officer of the Center. The play starts at 6 PM. Admission is free.